Troubled by political strife and decline for decades, West Bengal’s economy has started to catch up with other regions in India. But what makes West Bengal an attractive business location, why was the economic development delayed and what does this mean for firms and investors who think about moving or expanding to West Bengal? According to experts, West Bengal, India’s fourth biggest union state, might soon become one of India’s top business location. The region recorded more than 11 percent of economic growth per year and currently ranks as the subcontinent’s sixth strongest economy. Additionally to a significant manufacturing industry the region’s Tech sector has been growing tremendously in past years. But what are the odds that the region formally associated with economic decline and political violence will transform to, as Chief Minister Mamata Banerjee put it, “Best Bengal” and surpass other business locations in India? It is self-explanatory that such regional developments cannot be assessed in isolation from those on the national level. With some reservation international firms and investors have welcomed Prime Minister Narendra Modi’s ambitious announcements to make India a more attractive economic location which include the improvement of infrastructure and an enhanced access of foreign investors to the Indian market. Conditions for foreign investments have already improved while at the same time, a reform in 2017 made the process of taxation and hence movement of goods itself much easier. West Bengal also benefits from the strategy to further accelerate economic growth in specific regions by establishing Special Economic Zones (SEZ). As of today, West Bengal has seven operational SEZ, 14 are either notified or approved. While those numbers are still relatively small in comparison to Karnataka and IT-Hub Bangalore, West Bengal could benefit from the fact that SEZ expansion in those areas are currently stagnating. As a consequence of the increasing building-spatial agglomeration, and therefore rising operating costs for firms, locations like Kalkutta constitute a promising alternative to Bangalore especially due to the low level of rents. Especially the government’s promise to improve infrastructure remained unfulfilled for quite a while. Eventually, the 2018/19 national budget includes massive investments in this area. Also the government of West Bengal started to build new and modernize existing industrial parks and infrastructure. Moreover and amid the fact that India’s average level of education does not reach western standards, West Bengal is making an effort to change this: Just recently, a campaign for better education could help companies engaged in the area to recruit from an increasing pool of high-skilled employees. In order to bolster this initiative, Kalkota initiated the establishment of five new universities. Are these efforts already paying off? Current figures indicate a positive trend, especially as West Bengal climbed up eleven ranks in the Indian State Investment Potential Index of 2018 in comparison to 2017. This April, the Polish government decided to invest inter alia in West Bengal’s energy sector. This development is even more impressive amid the fact that in 2012, the World Bank’s Ease of Doing Business Report saw the region at the very bottom of India. Can West Bengal escape the Shadows of the Past? Despite the current euphoria, political risks in West Bengal should not be overlooked or brushed aside as ancient history. Political violence and insecurity had dominated headlines and everyday life in West Bengal. Especially the repercussions of the Naxalites Conflict can still be felt. Located in the so called Red Corridor, the violent dispute between the Indian state and the Maoist Naxalite rebels had also affected West Bengal since 1967. 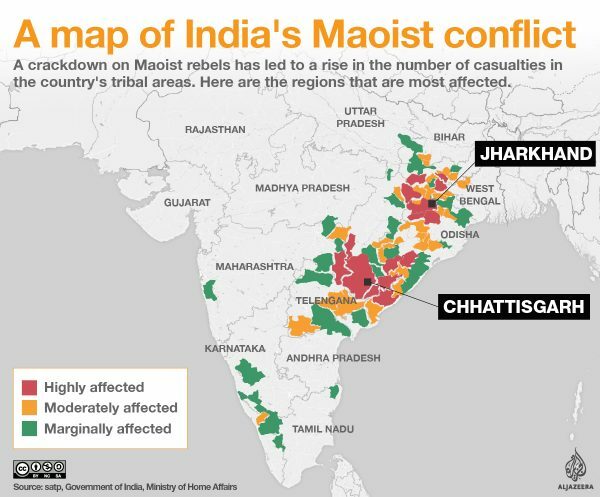 The insurgency still commands some 50,000 fighters and supporters, determined to force a regime change and create the Indian version of a communist state. However, the conflict also has deep social and economic roots, originating in the discrimination of non-Hindu communities in the area. Many of them continue to support the Naxalites and some even join them as fighters. A particular challenge for companies operating in the area or thinking about doing so, is the Naxalite strategy of extortion and blackmail to generate revenues. So far, both national and state governments have addressed the issue in a two-fold manner: On the one hand, they started to expand and modernize police forces in the area. On the other hand, they have increased efforts to further integrate local communities into the Indian society through the means of economic support. Since 2004, the government provides funds to red corridor areas, compensates survivors of the conflict with houses and jobs and offers financial support for the rehabilitation of demobilized Naxalite fighters. In addition, Delhi initiated development programs like the Mahatma Gandhi National Rural Employment Guarantee Scheme (MGNREGS). In the past years, the government’s acceptance by the local communities has increased while support for the Naxalites appears to be in decline. This positive development is a crucial factor in the further favorable evolution of the conflict as the Naxalites highly depend on the assistance by the local communities. Latest figures show a continuing decrease of incidents with Naxalite involvement. Despite these successes, West Bengal remains – as other parts of India – troubled by corruption and organized crime. Extortion, especially in the construction and real estate sector, is an all-too familiar for many companies operating in the area. And despite the fact that both number and extent of clashes among West Bengal’s many religious and ethnic> communities are decreasing, local tensions should be taken into consideration when assessing e.g. the likelihood of strikes and other business interruptions. A favorable geographic location, improvements in the educational and infrastructure sector, and an ambitious government seeking new investments: West Bengal has an enormous economic potential and wants to use it. Hence, regional developments offer vast opportunities to firms and investors alike, especially if they heed local characteristics and risks in West Bengal. 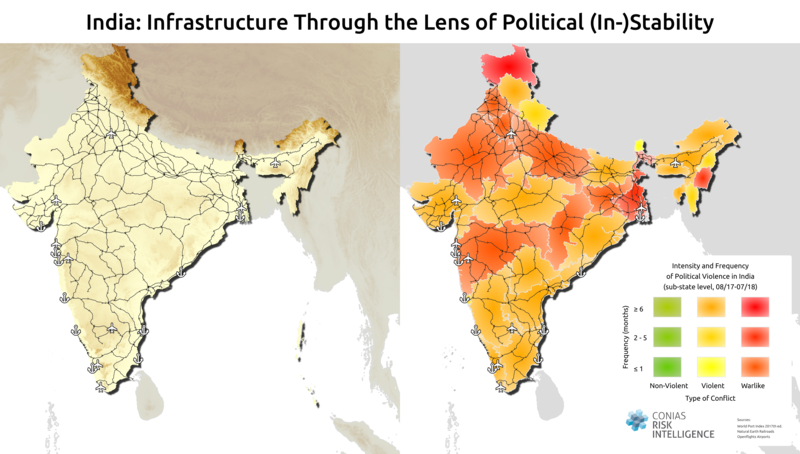 Although conflicts like the Naxalite dispute could not (yet) get finally solved, positive trends open new windows of opportunities. Nevertheless, foreign companies should consider those problems in their market entry and investment strategies in order to avoid bad surprises and to contribute to a favorable and sustainable development in the region. Click here to read our previous blog post on India. You travel, trade and invest internationally and want to know more about political risks? Subscribe to our Newsletter to stay up to date on global developments and company news or get in touch with us directly for tailor-made consulting and data solutions - we look forward to hearing from you!